If you’re looking for a job, we’re here to help! Take our #30DayJobChallenge to get employed by the end of the month. Whether you’re fresh out of school and looking for your first job or changing career paths, the job hunt is unavoidable. Throughout the entire month of June, we will outline the best methods and strategies for you to find a job by the end of the month! Each day we will be sharing new tips to help you in your hunt. We will start the month off with how to compose the perfect resume and cover letter, then the best way to identify and apply for jobs. We will provide networking strategies for you to get that interview and how to capitalize on that opportunity. In one month, you will have the tools necessary to land your dream job. 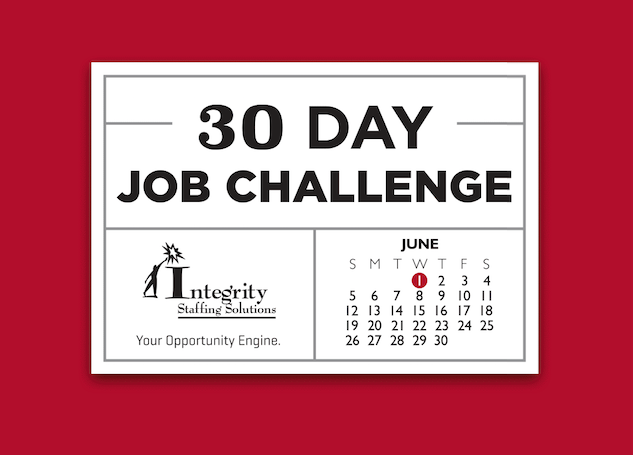 We hope you accept the #30DayJobChallenge! Tell us how your #30DayJobChallenge is going on Facebook, Twitter, Linkedin, and Instagram. We’d love to hear from you!